Free Shipping until this Sunday, July 28th, in my Society 6 Shop! 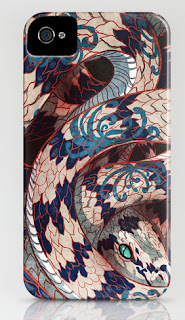 Plus a new phone skin design featuring my Year of the Snake illustration! For iPhones, Samsung Galaxy S4s, and iPods! Click the image to get linked to the shop!